Export Import Bank of Bangladesh Limited Is a public listed scheduled bank categorized in private sector and established under the ambit of Bank Companies Act 1991 and incorporated as a public limited company under the companies Act 1994 on June 02. The Bank started commercial banking operations effective from August 03, 1999. The bank converted its Banking operations into Islamic Banking based on Islamic Shariah from traditional banking operation in July 01, 2004 after obtaining approval from Bangladesh Bank. The bank is being managed and operated by a group of highly educated and professional team with diversified experience in finance and banking. A team of highly qualified and experience professional headed by the managing director of the bank who has best banking experience operate bank as dat the top there is an efficient board of director for making policies. The management of the bank constantly focuses on understanding and anticipating customers’ needs. At present the bank has real time centralized online banking branches throughout the country having smart IT- Backbone. Besides these traditional delivery points the bank has ATM of its own, sharing with other partner banks and consortium throughout the country. The products and services that are sold in the most favorable prices can be an initial step of the firm in obtaining the trust and be included in the top list of the customers. However because of the tight competition of various services in EXIM bank, the perception of the customers and potential customer are also divided according to the services that they want to achieve. In addition, the impact of the economic problems are financial crunches in EXIM bank create a great challenge for the bank. With all the challenges that are ahead on EXIM bank, how will it gather the customer satisfaction. The finding of the study will be useful for me readers to set knowledge about the topic and EXIM bank. To fulfill the requirement of internship program under BBA program. To gain practical experience in job field. To analyze the customer satisfaction of EXIM Bank Ltd.
To get an idea about the performance of EXIM Bank Ltd.
To know about Islamic banking and their operation. To get a brief idea about their deposit product. To get a brief idea about operational procedure export & import business. To get idea about us management and organization structure. To know the importance of foreign trade in Bangladesh. To identify major strength and weakness of EXIM Bank Ltd.
To know the service provide by the bank. Maintaining corporate and business ethics. To the practical knowledge in banking sector. EXIM Bank of Bangladesh Ltd. is one of the new generation banks in Bangladesh, which plays a vital role to develop a balance and sound economical, social and industrial sector of Bangladesh. Discussion was conducted with the client about their satisfaction towards EXIM Bank. The report covers organizational structure, background, product function, customer satisfaction and the performance of the Bank. By interviewing clients of the Bank. Face to face conversation with the employee. Appointment with the top official of the bank. Personal experience gained by observing the different task of bank. Annual report of EXIM Bank Ltd. PROSPECTUS published by EXIM Bank. Gather knowledge about the bank from their banking website. The first limitation of the study is the time constraint, the duration of the report was very small. The interviewing process is lengthy. Sometimes the client do not cooperate easily. Omission and error may be there due to may lack of experience in preparing a professional report like this one. The officers of a bank are too much busy to provide information and interviews to may project. Another drawback of the study is confidentiality tom disclose their data, information because the market is more competitive. The term bank is either derived from old Italian word banca or from a French word banque both mean a Bench or money exchange table. In olden days, European money lenders or money changers used to display (show) coins of different countries in big heaps (quantity) on benches or tables for the purpose of lending or exchanging. Due to their influence within a financial system and an economy, banks are generally highly regulated in most countries. Most banks operate under a system known as fractional reserve banking where they hold only a small reserve of the funds deposited and lend out the rest for profit. They are generally subject to minimum capital requirements which are based on an international set of capital standards, known as the Basel Accord. Bank is a financial institution which deals with other people’s money i.e. money given by depositors. A bank may be a person, firm or a company. A banking company means a company which is in the business of banking. A bank accepts money from the people in the form of deposits which are usually repayable on demand or after the expiry of a fixed period. It gives safety to the deposits of its customers. It also acts as a custodian of funds of its customers. A bank lends out money in the form of loans to those who require it for different purposes. A bank provides easy payment and withdrawal facility to its customers in the form of cheques and drafts, It also brings bank money in circulation. This money is in the form of cheques, drafts, etc. A bank provides various banking facilities to its customers. They include general utility services and agency services. A bank is a profit seeking institution having service oriented approach. Banking is an evolutionary concept. There is continuous expansion and diversification as regards the functions, services and activities of a bank. A bank acts as a connecting link between borrowers and lenders of money. Banks collect money from those who have surplus money and give the same to those who are in need of money. A bank should always add the word “bank” to its name to enable people to know that it is a bank and that it is dealing in money. The commercial banking system dominates Bangladesh’s financial sector. Bangladesh Bank is the Central Bank of Bangladesh and the chief regulatory authority in the sector. The banking system is composed of four state-owned commercial banks, five specialized development banks, thirty private commercial Banks and nine foreign commercial banks. The Nobel-prize winning Grameen Bank is a specialized micro-finance institution, which revolutionized the concept of micro-credit and contributed greatly towards poverty reduction and the empowerment of women in Bangladesh. Severe liquidity or cash crisis is going on in the banking sector. Banks have become beleaguered to get rid of this liquidity crisis. As immediate solution to crises, banks are increasing their interest rates on deposits. Some are maintaining their with each passing day expenditures after borrowing from the call money market (for inter-bank transaction) at a high rate. In addition, some of the banks are borrowing from Bangladesh Bank through repos (Repurchase Agreements) after pledging the liquid assets like treasury bills and bonds. Their deposit management cost is increasing as they are collecting deposits at a high rate. Some of them are increasing their lending rate to cope up with this additional cost. As the interest rate on bank financing is rising, the cost of investment of the entrepreneurs is also increasing. As a result cost of production is rising. The entrepreneurs are avoiding bank financing as their cost of production is increasing. According to the bank analysts, the situation in the banking sector is not good at all. They have apprehended that if the current situation is not handled properly, the banking sector will face collapse in the future. However, the businessmen have become worried with the increase of the interest rate. They are saying that their cost of doing business is going up with the increment of the borrowing rate of bank financing. As a result the production cost is getting increased. In this situation, the commodity price is getting out of the reach of the mass people. The businessmen are apprehending that the inflation will increase further in the future. The Federation of Bangladesh Chambers of Commerce and Industries (FBCCI) — the supreme organization of the business community — has urged intervention of the Bangladesh Bank on reducing the higher interest rate, keeping the service charges within the tolerable level, and revising the interest rates for the financing in the productive sector. In this regard, a group of businessmen led by A.K. Azad, chairman of this supreme organization of business community recently had a meeting with Bangladesh Bank Governor Dr Atiar Rahman. The businessmen discussed the overall condition of the trade and commerce of the nation with the Governor in a two-hour-long meeting. FBCCI Chairman A.K. Azad said that after the lending cap on the financing in the productive sector was removed on 9 March the banks were almost competing with each other in increasing the lending rate. Even before 9 March, the maximum lending rate for the business loan was 13 percent; whereas after 9 March the lending rate of 15 to 18 percent is being imposed on the businesses. Some of the banks have taken it to even 20 percent. Because of this, the cost of business is increasing. The FBCCI chairman believes that this will further ignite the inflation. The investment will not grow. No new employment will be generated. As a result the rate of unemployment will rise further. Under such condition, he expected that the central bank will take initiatives to determine the interest rate that will be beneficial to the economy. Bangladesh Bank Deputy Governor Nazrul Huda has said that the businessmen have requested to redetermine the maximum lending rate. The Bangladesh Bank has informed the businessmen that there is no scope for redetermination of the interest rate. Moreover, the central bank cannot take such measure in the market economy. However, the banks will be requested to keep the interest rate to a tolerable level. However, the interest rate on bank financing is continuously increasing. Bankers are not paying heed to the protests of the businessmen. Thirty of the local and international banks have increased their lending rate in this April. Among them, some of the banks have increased their interest rate by three to thee and half percent. In April 2011, the rate of interest in business loans has been 18 percent; whereas in March it was imposed maximum at a rate of 13 percent. Among the 30 private commercial banks 26 have increased their rate of interest in the current month. Among the other four there is a specialized bank and three foreign banks. Businessmen have expressed their grievance at the interest rate increment of so many banks at a time. As per their opinion, the commodity price has already increased due to the rise of fuel price in the international market. However, the fund management of the banks are facing cataclysm because of cash crisis. The total liabilities of some of the banks are not matching up with their total assets. As a result bank is losing their capability for settlement of claims including returning the deposits of the depositors. As per central bank’s guideline, in any particular month, the difference between the total assets of the bank and their claims to be settled must not be greater than 20 percent of their total asset. For example, suppose a bank in a particular month will have to pay off 100 takas (Tk), including earlier committed credit, returning the money of the depositors in the maturity of their deposits, and settlement of import payments. However, in that month, the total earning of the bank from adjustment of credit, proceeds from the maturity of treasury bills and bonds, income from different commissions, and income from the deposits has been Tk 80. So, the difference between the asset and liability would be Tk 20. This is somewhat acceptable as per the asset liability management guideline of the central bank. Bank may adjust the deficit of Tk 20 from the call money market (the inter-bank market for funds) or through repos from the Bangladesh Bank. But if this difference becomes more than 20 percent, there is possibility of many sorts of hazards for the bank. For example, the captioned bank may face severe liquidity crisis. As a result, the bank loses its capability to settle any of its claims. The bank cannot meet the condition for keeping the mandatory cash reserve with the central bank Cash Reserve Ratio (CRR). The Statutory Liquidity Reserve (SLR) becomes deficient. To resolve the crisis, the banks borrow from the market at a very high rate. In addition, they also collect short term deposits at a very high rate. As a result the fund management cost of that bank increases the consequences into collapse of the overall system of the bank. One of the high officials of the central bank said that as per the fund management of the banks, a bank has to estimate the probable liabilities in a month. Along with that the amount of total inward deposits at that particular month is also to be estimated. The fund management system of a bank is maintained on this basis. However, many of the scheduled banks are not following this guideline in the recent time. They are incurring greater amount of expenditures not conforming to their income. As a result different bank are getting excessively dependant on the Bangladesh Bank and the call money market. Many banks are not being able to maintain their day to day expenditures. An industrialist claiming anonymity informed that at the time of encashment of large amount of check, some banks are not paying within a day. After partially paying they are requesting to come in the next day. For getting out of this crisis, some of the banks are borrowing from the call money market. Again they are rushing toward the Bangladesh Bank . Every day, they are borrowing more than Tk 90 billion as repo (borrowing for short-term) and under special liquidity support. In some days Bangladesh Bank is even lending Tk 100 billion. Bankers believe that the Bangladesh Bank is entirely responsible for such condition in the banking sector. As per their opinion, in the past seven months of 2010 Bangladesh Bank increased the CRR — The banks’ mandatory rate of reserve to the central bank twice. Because of this, approximately Tk 40 billion came to the central bank from the banks. As a result liquidity crisis began in the banking sector. As a result, in the first month of this year the rate of interest in the call money market climbed up to 170 percent that is recorded as the highest until now. Dr Saleh Uddin Ahmed, former governor of the Bangladesh Bank, said that the initiative of the central bank to increase CRR was not proper and was not a timely step. He said that the reason was that in December, the banks adjust their entire year’s transaction. In this time, they normally disbursed less amount of credit and collected greater amount of deposits, he stated. As a result, their balance sheet remained in good shape, he said. But as CRR rate was increased at that particular time, banks had to keep their deposited money with the central bank on mandatory basis, he stated. He said that the result had been as it was predicted. According to the analysts, the central bank has to take responsible decisions for getting rid of this situation occurred in the banking sector. Otherwise they are anticipating that the crisis in the banking sector will have a negative impact on the overall economy. The central bank has finally approved nine more banks in addition to existing 47 commercial banks in Bangladesh. Three new NRB commercial banks, sponsored by non-resident Bangladeshis (NRBs), and six private commercial banks (PCBs), have been approved aiming to help boost the inflow of foreign exchange and strengthen the ongoing financial inclusion programmes through bringing unbanked people under the banking network respectively. The letters of intent (LoIs) `have already been issued to the sponsors of such approved banks. There have been many significant developments in the economy of Bangladesh since 2000-2001, the central bank stated, explaining the economic context and rationale behind issuing licences in favour of new banks. The economy has grown and the banking system has become more competitive but there are still a large number of under-banked people in Bangladesh. Recent estimates from a survey conducted by the Institute of Microfinance (IoF) found that only 45 per cent of the nearly 9000 households surveyed do have access to banks and micro-finance institutions (MFIs) for loans. The population per branch (21065) and the ratio of loan accounts per 1000 adults (42yrs) suggest that the outreach of the formal financial sector in Bangladesh is lower than that in India (14485 and 124 respectively) and Pakistan (20340 population per branch and 47 loan accounts per 1000), according to the statement of IoF. Bangladesh Bank assumes that the new banks will help increase the quality of banking services by increasing competition in the banking sector. They will also be able to meet the unfulfilled demand for credit by the private sector whose needs have grown in line with a fast expanding economy. The central bank noted that, for new banks the ratio of opening rural and urban branch will be 1:1 which will help increase bank branches in rural areas and improve financial inclusion. But the home truth is; no bank can expand in the rural areas before concentrating and making business in urban areas. Earlier, the issue of granting licenses to new banks caused many to raise their eyebrows. Questions were being asked by authentic experts, bankers and people even on the board of directors of the central bank about the wisdom of allowing more banks, a sector that had been struggling hard to cope with the problem of liquidity shortage for years together. The banking sector is already saturated with 47 commercial banks. There was no logic to allow new banks at this moment of the country. The new comers will create an unhealthy competition in banking services, affect stability of the sector and cause profitability of the existing banks to suffer. The entry of more banks will trigger a flight of huge fund including Tk 36.00 billion from existing banks to place as paid-up capital against new banks; this will lead to further deteriorations of the stringent situation already prevailing in the banking sector. The similar incident will take place for quality employees of the existing banks. All these will lead to a greater mismatch between their credit and deposit ratio and acute shortage of good bankers. The banks will be forced to go for risky investment after collecting deposit at high rate from an already saturated market. It will seriously affect the overall bank- business and the industry as well. Banks are to facilitate all kinds of economic activities and finance many other needs of the people, in both urban and rural areas. But overcrowding of the banking sector is not at all desirable as this, instead of meeting those objectives, would create problems for the sector itself, particularly the existing operators in the sector. This might even adversely impact the vital sectors of the economy in the process. It was unlikely that the board of directors of Bangladesh Bank were not aware of that fact. Yet they were trying to select the right ones since the government is unrelenting in its decision to allow new banks. Opening up of new banks on political consideration, as reported time and again, may reduce the confidence of the clients in banks as well as impair the management quality of the overall banking sector. * The new banks should introduce new and innovative services and should scale up their products for the sake of making the government decision meaningful. * There is no denying that the quality of the sponsors largely influences the quality of operation of banks as such sponsors play an important role in the decision-making. So, the central bank will have to closely examine the track records of the sponsors and it must not give in to political pressure of any sort on this issue. The quality of the bank directors should be maintained scrupulously. * The central bank must have to play the role of a watchdog in case of shopping the investment clients of new banks from existing banks by approving the higher limit then the present outstanding. * The central bank needs to require to consider several other issues, prior to giving effective permission to new banks, including ownership quality. * The vital issue that deserves priority attention of both central bank and the government is better banking coverage of the hitherto neglected rural areas. The new banks may be asked to serve the rural people extensively. * On the top of everything, both the central bank and the government will have to ensure the entry of stronger players in the banking arena and keep close watch on the effects of such an entry on the overall banking industry. * The Bangladesh Bank and Bangladesh Institute of Bank Management (BIBM) have to take preparation on structuring the banks by training up the bankers. Because market will be oversaturated as soon as the new banks start operations. The precipitations of banks may appear at the bottom of the banker of banks in Bangladesh. Time has arrived; the possibility of merger of weak banks cannot be laughed away. Still we hope for the best. The newly approved three NRB commercial banks namely, NRB Commercial Bank Ltd, NRB Bank Ltd and NRB Bank Ltd will bring USD150.00 million as paid up capital of the non-resident Bangladeshis (NRBs). Expectations of the people about the six approved PCBs, such as Union Bank Limited, Modhumoti Bank Limited, the Farmers Bank Limited, Meghna Bank Limited, Midland Bank Limited and South Bangla Agriculture and Commerce Bank Limited, are quite high. Now the nation is passionately staring at the functions of the new-born banks with a ray of hope of even development of the people of all the strata in the days to come. The banks encourage thriftiness and save more among people. The men can be free of the future anxiety when they do not have income on account of savings. Since banks provide attractive interest on saving and fixed deposits, people are encouraged to save more. The bank, therefore, has made it possible to collect small savings from nook and corners of the country. Besides, the resources are mobilized by banks even by selling shares. Since, bank deposit is most liquid; people can promptly receive money in crisis. The capital formation is crucial for the economic development of a country. The less developed countries like Nepal are suffering from low capital formation. The bank collects idle money from people. These money are channelled by banks to the individuals, businesses and government for productive investments. This increases capital formation by increasing productive investments. This, in turn, raises the level of employment, income and standard of living. The spread of bank branches to the rural areas increases the banking habit of people. People keep their excess money in banks and withdraw at the time of need. This leads to the monetization of rural areas. It is easier to implement government monetary and fiscal policies effectively in the monetized areas. The effectiveness of these policies, in turn, helps government to maintain price stability and promote economic growth and employment. The unemployment is a serious problem, which may result into severe social, political and economic consequences. In Nepal, pressure of population on land is high. A large share of labour force is unemployed and under-employed. The bank helps to relieve the economy from the pressure of unemployment. The bank provides loans to businessmen, entrepreneurs and farmers in different forms. Likewise, the banks also make direct investments in different sectors. These all increase the economic activities and promote employment opportunities. The banks make available loans to rural people on reasonable rate of interest. This helps farmers to undertake agricultural and non-agricultural works. The Small Farmers Development Project, Small Sector Development Programme, Small and Cottage Industries Project, Micro-credit Projects have been implemented by Agricultural Development Bank and commercial bank in Nepal for the upliftment of the poor. This has helped to increase the employment level of income and level of living of the poor. Similarly, the rural development banks have been established for the upliftment of the poor. The banks can contribute substantially in economic development. The rapid industrialization in America, Japan, Germany and France was made possible by banks. According to Per Jacobson, “Economic growth can be compared with the construction of a good House with stability at its foundation. We bankers have a key responsibility in the building task for economic growth”. The banks make available loans of different periods to agriculture, industry and trade. They make direct investments in industrial sectors. They provide industrial, agricultural and commercial consultancy. Likewise, they discount bills, sale bills, remit funds, make available foreign exchange, issue guarantees and so on. Agriculture, the backbone of the economy, trade, the engine of growth and industry, and the precondition to modernization are developed by the financial and technical assistance of the banking system. The development of these sectors accelerates the pace of economic growth. The economic growth, in turn leads to increase in national income and alleviation of poverty. History of EXIM Bank Ltd. Export Import Bank of Bangladesh Limited was established in the year 1999 under the leadership of Late Mr. Shahjahan Kabir, Founder Chairman who had a long dream of floating a commercial bank which would contribute to the socio-economic development of our country. He had a long experience as a good banker. A group of highly qualified and successful entrepreneurs joined their hands with the founder chairman to materialize his dream. In deed, all of them proved themselves in their respective business as most successful star with their endeavor, intelligence, hard working and talent entrepreneurship. Among them, Mr. Nazrul Islam Mazumder who is an illuminated business tycon in the Garments business in Bangladesh became the Honorable Chairman after the demise of the honorable founder chairman. He is also the chairman of Bangladesh Association of Banks (BAB). Under his leadership, BAB has emerged as an effective forum for exchanging views on problems being faced by the banking sector of Bangladesh and for formulating common policy guidelines in addressing such problems. This Bank starts functioning from 3rd August, 1999 with its name as Bengal Export Import Bank Limited. On 16th November 1999, it was renamed as Export Import Bank of Bangladesh Limited with Mr. Alamgir Kabir as the Founder Advisor and Mr. Mohammad Lakiotullah as the Founder Managing Director respectively. Both of them have long experience in the financial sector of our country. By their pragmatic decision and management directives in the operational activities, this bank has earned a secured and distinctive position in the banking industry in terms of performance, growth, and excellent management. Under the leadership of Mr. Lakiotullah, the Bank has migrated all of its conventional banking operation into Shariah Based Islami Banking in the year July 2004. Mr. Mohammed Lokiotullah left the Bank on 3rd June, 2007, there after Mr. Kazi Masihur Rahman became Managing Director on 4th June, 2007. Mr. Rahman served in the bank for next five years. Under his leadership, the bank has been placed on a state of the art centralized IT platform with two modern data centers where world renowned core banking software TEMENOS T24 is running along with some alternate delivery channels like ATMs and SMS banking. On 25th August, 2011, Mr. Md. Fariduddin Ahmed has joined in the bank as Managing Director. With his long experience in the Shariah Based Islami banking in Bangladesh, EXIM Bank is going to take a new shape where IT-enable banking service will spread in the market. The gist of our vision is ‘Together Towards Tomorrow’. Export Import Bank of Bangladesh Limited believes in togetherness with its customers, in its march on the road to growth and progress with service. To achieve the desired goal, there will be pursuit of excellence at all stages with climate of continuous improvement, because, in Exim Bank, we believe, the line of excellence is never ending. Bank’s strategic plans and networking will strengthen is competitive edge over others in rapidly changing competitive environment. Its personalized quality services to the customers with trend of constant improvement will be the cornerstone to achieve our operational success. As we, all know that Bangladesh is now an integral part of global market. As such, there is an urgent requirement for Bangladesh to place the traditional banking practices in harness with the global trades of a free market economy by following international banking customs, practices and standards. Today clients of a bank in Bangladesh are exposed as well as international markets. They have to stay update with their practice and standards to meet the demands of achieving harmony in the high standards of a free economy. Hence, by getting into both corporate and retail banking and rapid innovation and networking the bank believes that it can accomplish its goals. •To carry on, transact, undertake and conduct the business of banking in all its branches and to transact and do all matters and things incidental thereto in Bangladesh and abroad. •To receive, borrow or raise money on deposits, loan or otherwise, upon such terms as the Company may approve and to hive guarantees and indemnities in respect of all debts and contracts. •To establish welfare oriented banking systems. •To play a vital role in human development and employment generation. •To invest money in such manner as may from time to time be thought proper. •To carry on the business of buying and selling bullion, gold and other valuable assets. The main task of EXIM bank is to accept deposit from various customers through various accounts. Provide loan on easy terms and condition. The bank invests its fund into profitable sector. It transfers money by demand draft, pay order, online, Telegram transfer. The bank is doing the transaction of bill exchanges, cheque etc on behalf of the clients. EXIM bank assists in the foreign exchange by issuing LC. Above all, EXIM bank helps the businessman financially by giving discount facility for bill of exchange and by providing the facility of letter of guarantee. As a full-fledged Islamic bank in Bangladesh, EXIM Bank extended all Islamic banking services including wide range of saving and investment products, foreign exchange and ancillary services with the support of sophisticated IT and professional management. The investment portfolio of the bank comprises of diversified areas of business and industry sectors. The sectors include textiles, edible oil, ready-made garments, chemicals, cement, telecom, steel, real state and other service industry including general trade finance. The bank has given utmost importance to acquire quality assets and is committed to retain good customers through customer relationship management and financial counseling. At the same time efforts have been made to explore/induct new clients having good potentiality to diversify and create a well established structured investment portfolio and to minimize overall portfolio risk. Core banking solutions are banking applications on a platform enabling a phased, strategic approach that is intended to allow banks to improve operations, reduce costs, and be prepared for growth. Implementing a modular, component-based enterprise solution facilitates integration with a bank’s existing technologies. An overall service-oriented-architecture helps banks reduce the risk that can result from manual data entry and out-of-date information, increases management information and review, and avoids the potential disruption to business caused by replacing entire systems. Core banking solutions is new terminology frequently used in banking circles. The advancement in technology, especially Internet and information technology has led to new ways of doing business in banking. These technologies have cut down time, working simultaneously on different issues and increasing efficiency. The platform where communication technology and information technology are merged to suit core needs of banking is known as core banking solutions. Here, computer software is developed to perform core operations of banking like recording of transactions, profit calculations on loans and deposits, customer records, balance of payments and withdrawal. This software is installed at different branches of bank and then interconnected by means of communication lines like satellite, internet etc. It allows the user (customers) to operate accounts from any branch if it has installed core banking solutions. This new platform has changed the way banks are working. EXIM Bank uses the Islamic Banking Solution of Temenos T24 as core banking solution. Marketing Mix is the combination of the elements of marketing and what roles each element plays in promoting your products and services and delivering those products and services to your customers. These four P’s are the parameters that the marketing manager can control, subject to the internal and external constraints of the marketing environment. The goal is to make decisions that centre the four P’s on the customers in the target market in order to create perceived value and generate a positive response. The bank managed by a team of professional executives and officials having profound banking knowledge and experience in different sectors management and operation of banking. During the short span of time EXIM Bank Ltd. Has introduced a good number of attractive deposit products to broaden the resources base and also investment products to deploy the deposit products. EXIM Bank Ltd. Always tries to introduce a wide variety of attractive deposit, investment and service for suiting taste and requirement of the client. PRODUCTS: The banks primarily deal in services and therefore, the formulation of product mix is required to be in the face of changing business environment conditions. Export Import Bank of Bangladesh Limited launched several financial products and services since its inception. Among them are Monthly Income scheme, Monthly Savings Scheme, Super Savings Scheme, Education Savings Scheme, Multiples Savings Scheme, Hajj Deposit Smart Saver Scheme. All of these have received wide acceptance among the people. Mudaraba Saving Deposit: Mudaraba savings account is opened under the Mudaraba principal of Islami Shariah. Under the above principal the clients is the Shaheb-Al Mal and the Bank is Mudarib. Mudaraba Saving’s accounts are mainly meant for Non-Trading customers who have some potential saving with small no. of transactions taking place. More than one person can open and operate a Mudaraba savings account. A guardian on behalf of a minor can open a Mudaraba Savings A/C. In which case a declaration stating the date of birth of the minor should be obtained from the guardian. OD is not allowed for SB account. The account provides expected half-yearly provisional profit. Account will be operated as per Mudaraba principals. At least 65% of investment income will be distributed among the Mudaraba Depositors as per weight age allocated for each accounts. Al- Wadia Current Deposit: Al-Wadiah Current Account follows the Principle of Islami Shariah wherein the bank is deemed as a keeper and trustee of funds as Al-Amana (on Trust). This deposit that operates by taking permission from depositors would be taken to use their fund according to Shariah Principle and depositors would not receive any kind of profit. As such the bank is under obligation to return the entire money on demand by the customer. The account is not time barred i.e. Account Holder can withdraw money as many numbers of times as he wishes in a working day. SMS banking service includes balance inquires/Mini-statement by mobile phone. Customer may be withdraw the entire (or part of) fund without any notice to the bank. (a) Mudaraba Term Deposit Receipt: Mudaraba Term Deposit Receipt (MTDR) account is opened under the Mudaraba (Profit Sharing) principal of Islami Shariah. The minimum amount of MTDR, rate, renewal procedure and premature encashment rules determined & circulate by our Head Office from time to time. These deposits are repayable subject to a period of notice and hence known as time deposit or time liabilities meaning thereby that these are withdraw able subject to a period of notice and not on demand. Any adult person (individually or jointly) having sound mind or any institution/organization can open MTDR Account with any branch of the Bank. If the account is enchased after completion of any tenure but before maturity, depositors will be entitled to receive the benefit at the provisional rate of profit of Mudaraba Savings Account. The provisional rate of profit of Mudaraba Savings Account will treat the provisional rate of profit, which was prevailed at the time of opening the MTDR account. (a) Mudaraba Education Scheme: The most gratifying experience for parents is proper education of their children. Educational expense is rapidly increasing and therefore appropriate planning needs to be done by all parents. EXIM Bank offers “Education Savings Scheme” to assist in financial planning well ahead in time for the children’s higher education. Deposit of Tk 25,000/- and multiples thereof at a time will be accepted under the scheme. The instrument shall be issued for 7 years, 10 years or 20 years terms. Objectives of the Scheme: Savings help to build up capital and capital is the principal source of business investment in a country. That is why savings is treated as the very foundation of development. To create more awareness and motivate people to save, EXIM Bank offers super savings scheme. Any customer can open more than one account in a branch in his/her name or in joint names. A Deposit Receipt will be issued at the time of opening the account. Savings will be treated as projected and it will be adjusted after the declaration of profit at the end of the year. The weight age of deposit will be 1.17. Not less than 65% of investment income shall be distributed among the Mudaraba Deposit holders as per weight age of deposit. In case of premature encashment before 1 year no profit shall be paid. In case of premature encashment after 1 year but before 3 years profit shall be paid at Savings Rate plus 0.75%. In case of premature encashment after 3 years but before maturity profit shall be paid at Savings Rate plus 1.00%. In case of death of depositor before the term, the amount will be given to the nominee according to the rules of premature encashment. In the absence of nominee, the heirs/ successors will be paid as per succession certificate. A depositor can avail quad up to 90% of the deposit under this scheme. Bank reserves the right to change the weight age of deposit & percentage of distribution of Investment Income. At the time of payment, Income Tax shall be deducted upon profit. Objectives of the Scheme: A monthly savings scheme. Secure your future with ease. A small savings of today will provide you comfort tomorrow. The savings period is for 5, 8, 10 or 12 years. Monthly instalment is Tk. 500/-, 1000/-, 2000/- or 5000/-. Not less than 65% of investment income shall be distributed among the Mudaraba Depositors as per weight age. The deposit will bear weight age 1.16, 1.17, 1.18, 1.19 respectively. The depositor can have a separate account in the bank from which a standing instruction can be given to transfer the monthly deposit to the scheme account. If the depositor fails to make the monthly instalment in time, then 5% on overdue instalment amount will be charged. The charged amount to be added with the following month(s) instalment and the lowest charge will be Tk. 10/- (Taka Ten). Generally, withdrawal is not advised before a 5 (five)-year term, but if it is withdrawn before the above term, profit will be paid at savings rate. However, no profit will be paid if the deposit is withdrawn within 1 (one) year of opening the account. In case the depositor wishes to withdraw between the 5, 8, 10 or 12 years period then full profit will be paid for a completed term and savings rate will be applicable for the fractional period. After 3 (three) years of savings in this scheme the depositor (if adult) is eligible for a quard up to 90% of his/her deposited amount. In that case, profit rates on the quard will be applicable as per prevailing rate at that time. If the depositor fails to pay 3 (three) instalments in a row, then he/she will be disqualified from this scheme and profit will be applicable as mentioned in withdrawal clause. If a depositor fails to pay 5 (five) instalments in a row after completion of any one of these terms, then the Bank reserves the right to close the account and profit will be paid as mentioned in withdrawal clause. In case of death of the depositor the scheme will cease to function. The amount will be handed over to the nominee of the deceased depositor. In case of absence of the nominee, the bank will hand over the accumulated amount to the successor of the deceased. A form has to be filled at the time of opening the account. Attested photographs are advised. The depositor can select any of the installment amounts which cannot be subsequently changed. In case of minors, the guardians may open and supervise the account in his favor. A single person can open more than one account for saving under several installment amount. The accumulated deposit with profit will be returned within one month of completion of a term. The government tax will be deducted from the profit accumulated in this scheme. If necessary, at the request of the depositor, the scheme can be transferred to another branch. The Bank reserves the right to change the rules and regulations of the scheme as and when deemed necessary. Income Tax on profit paid shall be deducted at the time of payment. The period of deposit is 10 (ten) years. In order to smooth arrangement of fund for performing Hajj, the bank has introduced this scheme for 5, 8, 10, 15 & 20 year’s period. 23) Other admissible trading and intermediaries. EXIM Bank brings SMS Banking services to provide instant access to your account information at any time. Any mobile phone user having account of EXIM Bank can get the service through the mobile phone upon registration. The pricing decisions or the decisions related to interest and fee or commission charged by banks are found instrumental in motivating or influencing the target market. The pricing policy of a bank is considered important for raising the number of customers’ vis-à-vis the accretion of deposits. Also the quality of service provided has direct relationship with the fees charged. Thus while deciding the price mix customer services rank the top position. The banking organizations are required to frame two-fold strategies. First, the strategy is concerned with profit and fee charged and the second strategy is related to the profit paid. Since both strategies throw a vice-versa impact, it is important that banks attempt to establish a correlation between two. It is essential that both the buyers as well as the sellers have feeling of winning. As a part of sales promotion the bank time to time gives gifts, special offer, commission, incentives time to time to its customers. They give gifts on special occasions, send greeting cards and offer other facilities on special occasion or special customers. The bank encourages personal selling rather pushes personal selling through its employees. Time to time they gives target to every employee to achieve certain amount of account opening under their references, bring customers for applying for loans. Much communication about the banking services actually takes place by word- of- mouth information, which is also known as word- of-mouth promotion. The oral publicity plays an important role in eliminating the negative comments and improving the services. This also helps the banker to know the feedback, which may simplify the task of improving the quality of services. EXIM Bank Ltd is trying its best to provide standard service to its customers so that they produce word-of-mouth marketing for them. All people directly or indirectly involved in the consumption of banking services are an important part of the extended marketing mix. Knowledge Workers, Employees, Management and other Consumers often add significant value to the total product or service offering. It is the employees of a bank which represent the organization to its customers. In a bank organization, employees are essentially the contact personnel with customer. Therefore, an employee plays an important role in the marketing operations of a service organization. To realize its potential in bank marketing, EXIM Bank Ltd. become conscious in its potential in internal marketing’ the attrition, development, motivation and retention of qualified employee-customers through need meeting job-products. Internal marketing pave way for external marketing of services. In internal marketing a variety of activities are used internally in an active, marketing like manner and in a coordinated way. The starting point in internal marketing is that the employees are the first internal market for the organization. The basic objective of internal marketing is to develop motivated and customer conscious employees. A service company can be only as good as its people. A service is a performance and it is usually difficult to separate the performance from the people. If the people don’t meet customers’ expectations, then everything will be lost. Therefore, investing in people’s quality in service based business means investing in product quality. Flow of activities: There has to be adherence to certain rules and principles in the banking operations. The activities have been segregated into various departments accordingly. Standardization: EXIM Bank Ltd. has got standardized procedures got typical transactions. In fact not only all the branches of a single-bank, but all the banks have some standardization in them. This is because of the rules they are subject to. Besides this, each of the banks has its standard forms, documentations etc. Standardization saves a lot of time behind individual transaction. Customization: There are specialty counters at each branch to deal with customers of a particular scheme. Besides this the customers can select their deposit period among the available alternatives. Number of steps: Numbers of steps are usually specified and a specific pattern is followed to minimize time taken. Simplicity: In EXIM Bank Ltd. various functions are segregated. Separate counters exist with clear indication. Thus a customer wanting to deposit money goes to ‘deposits’ counter and does not mingle elsewhere. This makes procedures not only simple but consume less time. Customer involvement: ATM does not involve any bank employees. Besides, during usual bank transactions, there is definite customer involvement at some or the other place because of the money matters and signature requires. Their growth rate is already high and they can provide huge advantage to their customer to getting loan and other facilities. Their deposit base is very strong and they have strong financial resource. As Islami sariah based EXIM bank has a prominent sariah council and they can provide different types of Islami Banking products. Their leadership is good as well as they have top management level team. 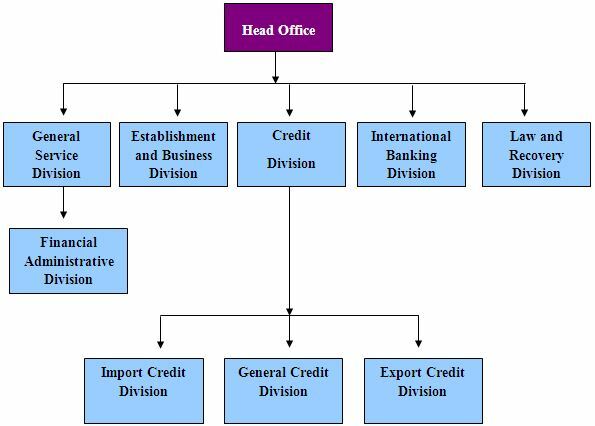 EXIM bank has the supervision of the advisors and chairman of the Bank. Other strength is company reputation to attract the customers. They have cooperation with each other. The major strength of EXIM bank is the skilful and good combination of young and experienced brand of work force. EXIM bank introduces online banking all over the country. All the time customers are not satisfied about the bank service quality. Excessive dependency on term deposits. They have no sufficient employee to serve their customers. Lack of proper motivation, training and job ration. Lack of own ATM services and credit cards need to be expanded vastly with market demand. The advertisement activity should increase about the bank product. Now a day many banks are coming to the market in present scenario.So try to expand their all facilities. They should spread scope or market penetration through diversified products and wide banking network. Deteriorated export import and guarantee business due to indecent competition as well as economic slurp. Customer satisfaction, a term frequently used in marketing, is a measure of how products and services supplied by a organization meet or surpass customer expectation. Satisfaction is as a judgment following a consumption experience – it is the consumer’s judgment that a product provided (or is providing) a pleasurable level of consumption-related fulfilment. Customer satisfaction is defined as “the number of customers, or percentage of total customers, whose reported experience with a firm, its products, or its services (ratings) exceeds specified satisfaction goals.” In other words, “The degree of satisfaction provided by the goods or services of a company as measured by the number of repeat customers. 1. It is the KPI within the Bank. 2. In a competitive marketplace where businesses compete for customers, customer satisfaction is seen as a key differentiator. 5. They generally use a wide range of services offered by Bank. 6. A few unhappy customers will have an outsize impact on your reputation online. So all of them need to be satisfied. 7. It’s the best form of advertising. This survey will be conducted to find out the customer satisfaction of EXIM Bank Ltd. It is very necessary for a bank to know that whether their customers are satisfied or not with their service. I hope this survey will find out how much the customers are satisfied or not with their product and service. The nature of the survey is based on quantitative information. For this I will conduct direct interview of actual customers of EXIM Bank Ltd.
My survey focused on individuals as sampling elements. The time of study was 12 February to 15 April 2013. The research is done in Dhanmondi Branch. Generally there are two types of sampling technique. They are probability and non-probability sampling technique. I used non probability sampling technique. The survey is conducted at Dhanmondi Branch. The age of the customers are between 20 to above 50. The sample size is 50. Considering the survey I collect data through a structured questionnaire using 5 point Likert scale where (strongly disagree = 1, Disagree = 2, Neutral = 3, Agree =4, strongly agree =5) to collect information for analyzing customer satisfaction of EXIM Bank Ltd.
EXIM Bank Bangladesh Ltd is focused on Islami Shariah based banking system. Their main motto is profit sharing. EXIM Bank has different loan scheme among them one is retail loan and another is corporate loan. In case of retail loan the loan size is lower. But in case of retail loan the loan is decided as per negotiation with the client. They provide different attractive schemes to the clients than other banks and they deduct 10% of profit from the savings of the client as per tax on behalf of the government. Its current ratio is increasing year to year which means the bank is able to pay its short term obligations. Its cash ratio is als increasing it means it is able to meet the cash requirements of the clients. The opening profit margin, Net profit Margin, ROA ROE is satisfactory. The P/E ratio of EXIM Bank is declining that means investors are paying more for each unit of net income. They provide quality financial services in export and import trade. EXIM Bank does not give attention on advertisement. In a competitive banking sector a bank has to enhance advertisement campaign in order to get or retain its market share. The core strength of EXIM Bank is its strong and reliable client base. KYC is the motto of this bank. Most customer choose this bank service because of their better service. Most customers are satisfied with the branch location. Because customers need safety and if the bank location is near by the office or home so they are more interested to open an account in this bank. Most customers are satisfied with the service charge of the bank. Customers think that service charge is quite low than other banks. The bank provides necessary information in time. The customers are satisfied about the solve of the problem. The bank is most careful to solve the customers’ problems. The behaviour of the employees is satisfactory. Most of the employees’ behaviour is good that’s why customers are satisfied. Most customers are satisfied with their delivery process. The internal decoration of the bank is attractive. The employees maintain formal dress code. EXIM Bank values its high profile customers. It is very much committed to its clients. Branch environment of the bank is pleasant. Employees need more training from time to time. The bank provides training in time. But it should be increased. The customers are not satisfied with the number of ATM booth. EXIM Bank is quick service provider. The employees of the bank are very friendly and helpful. 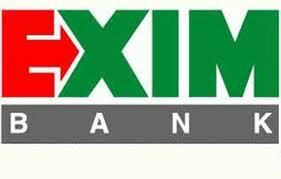 The EXIM Bank should make their credit approval and monitoring system more customers friendly. The bank should increase their earnings because their P/E ratio is decreasing day by day. The bank should consider easy procedure of opening and maintaining accounts. Establish own ATM network and maintain sufficient in ATM booth. Training program should be taken more seriously for betterment of service. Bank should offer more facilities to the customers’ credit card, visa card and ATM machine etc. The number of branches should be increased. Branches should open in rural areas for available services. The bank should improve the size, location, personal relationship and reputation. Unnecessary information should be avoided. The employees must be so efficient to solve customer problems and provide quicker service. The bank needs to show more advertisement by TV and newspaper so that people can know about the products and prices which they offer. To hold the level of customer satisfaction, bank should offer new products and provide better services depend on customers’ need. To increase the number of card holders bank should advertise of it properly and influence the account holders to take the debit or credit card. Employees of bank should be more aware to answer over the telephone. The bank should arrange the time to time promotion system for the employees to increase their effectiveness or motivation level. Complain or suggestions box of the customers may be arranged so that customers can give their opinions freely. Modern technology should be properly maintained. The bank should concentrate on interest rate according to the expectations of the customers. The number of employees should increase to remove the barriers of providing quick services to the customers. The Export Import bank of Bangladesh limited is a new generation bank with a dynamic outlook combining both shariah based and modern technology driven banking services. Since after its inception the bank is satisfactorily contributing to the growth of GDP of the country through stimulating trade and commerce accelerating the pace of industrialization boosting up export, creating employment opportunity for the educated youth, poverty alleviation, raising standard of living of limited income group and overall sustainable socio economic development of the country. There are lots of local and foreign banks competing in banking industry in Bangladesh and the EXIM Bank Limited is keeping its promises very successfully. The efficient employees of EXIM Bank always emphasize on customer satisfaction by providing them with high quality products and services in easier process within shorter time period. EXIM Bank concentrates on customers’ expectation in such a way that the satisfaction level of the customers can reach to 100% level. The bank is gaining improvement in almost all sectors over the last year. The bank has all the possibilities of becoming one of the leading banks of the country if it can maintain this trend of improvement. Before internship I had idea about banking but it was only bookish. Now after completing my internship period and preparing term paper on customer satisfaction I got practical aspect of banking. It will definitely help me to observe the things from banking perspective.